Mami Dearest: Happy March 1! Happy March 1! Spring is just around the corner and I am so ready for warm weather and planting flowers. 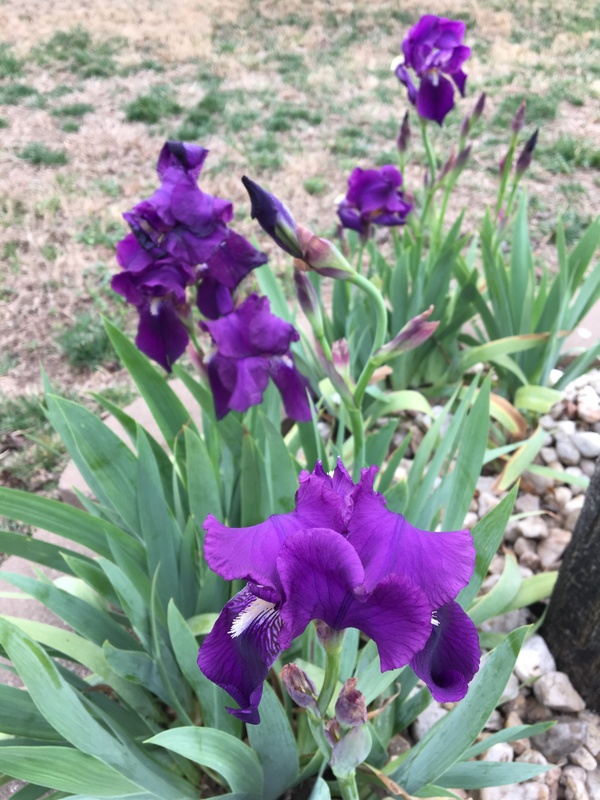 These flowers come up each Spring. I can't remember what they are called, but I love the vibrant purple. With the warm weather, I decided to make a salad today. 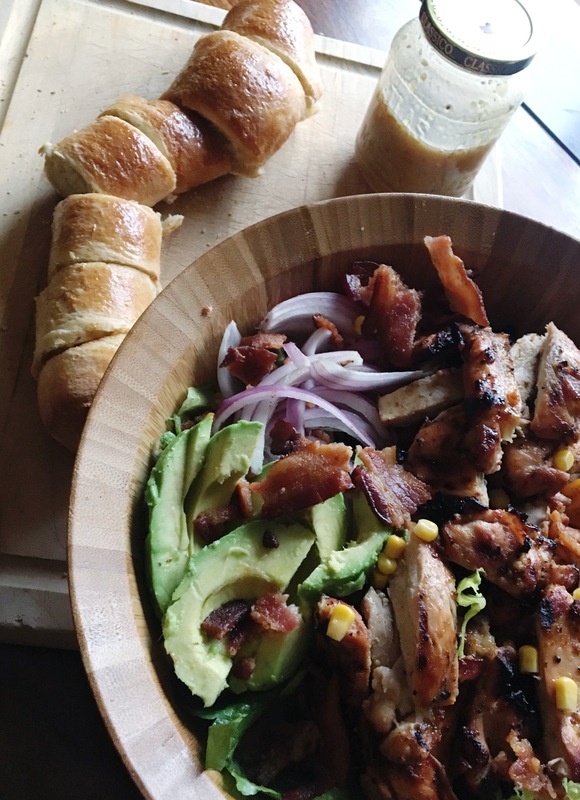 I had this one Honey Mustard Chicken, Avocado + Bacon Salad pinned on my Salad and Slaw Pinterest board and decided to try it out. It was sooo good. I loved the dressing. Fonzy loved it too. Definitely keeping it in rotation.